Subscribed (2018) looks at a business model that’s currently enjoying unprecedented success around the globe: subscriptions. Whether it’s Netflix, Spotify or Uber, companies have realized that more and more people are interested in services rather than ownership – they want the ride rather than the car. It’s an insight that’s literally worth billions. But more than that, it’s the future. If you want to make it in today’s crowded marketplace, it pays to take a closer look at the phenomenon. 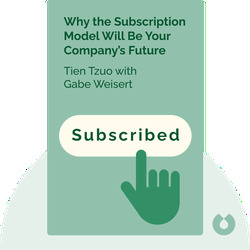 Tien Tzuo is the cofounder and CEO of Zuora, a leading provider of cloud-based software geared toward companies that want to make the transition to a subscription-based business model. 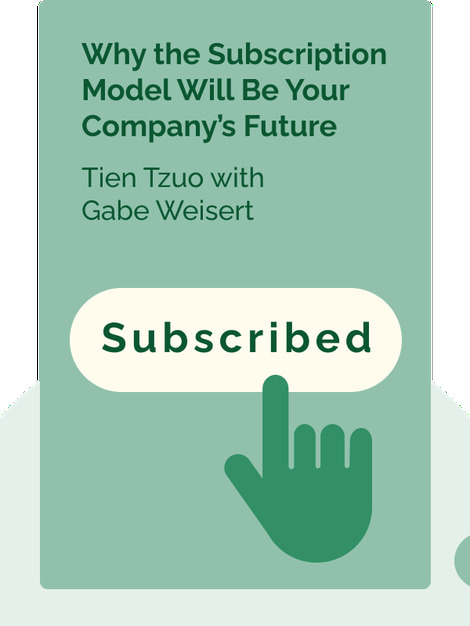 Before setting up Zuora, Tzuo was the chief marketing officer and chief strategist at Salesforce. He is also the host of the global Subscribed conference.